Very easy experience viewing to complex. Very helpful staff answering any questions. Signing the lease was very easy and they were helpful for out of town movers. I like living here. Its quiet and everyone is very friendly. Even my dog has made friends. I can't wait for summer to use the pool. I'm looking forward to being here for a while. The office staff is very nice and professional. They answered all my questions. The location is great easy access to the freeway and entertainment. Thank you Eva for the feedback.We look forward to serving you in the future. Kris- Property Manager. Love free covered parking, love the location, love how polite the staff are to the residents. My last apartment complex was so shady and overcharged for so little, compared to there this place is a godsend. Very friendly and quite community. Staff are very helpful and friendly. Property is well kept and clean. I have been here for over 10 years and have enjoyed each year. Thank you Lenora for letting us serve you for 10 years. We look forward to the next 10 years! Kris- Property Manager. I’m very impressed with the community and have friendly neighbors. Everyone in the office is always friendly and helpful. Love it so far!!!! It's been great till date.Issues reported in the apartment are taken up actively by the leasing office.Sabra has been extremely helpful in resolving issues. Living here has so many perks. Summers Crossing is a pleasant gated community and the residents here are always in a good mood! Close to shopping, highways, and Dallas is just a stone's throw away via foot! The landscaping is always on point and the garbage areas are usually neat and well maintained. I will probably be here until I can buy my own home and I will try to stay nearby! I really like the peaceful atmosphere here. There is always tons of parking and multiple places to dispose of trash. It would be nice to create an exit right onto Preston Rd. Kirk is a great man he has been incredibly helpful and got us accepted quickly which is a grace from God we needed. The complex is beautiful and the apartment is more then my wife and I imagined, this is my first day here, but I am very satisfied so far. The staff is friendly and quick to respond. I don't know if this is good or bad, but everyone knows my daughter and I by name. Would recommend. Great office staff - friendly and very helpful! Quick maintenance response; grounds well kept; great location and property. 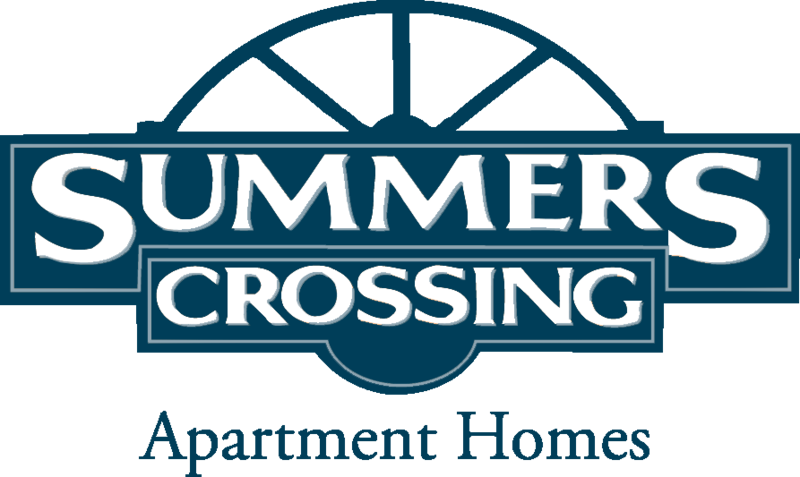 I would recommend Summers Crossing Apartments. Very well maintained and quiet community! The staff is friendly and very responsive to my requests. I’ve lived here for 7 years and I will stay 7 more 👍🏽🙏🏽🤞🏽! This has been the easiest and most transparent move-in process I've ever experienced. I would highly recommend this community to anyone looking. I'm very satisfied with the community. The people are very friendly and the amenities are great. I've only been here a month but I believe this property had so much more ti offer. I've been here almost 2 years and it's been great. Everyone is friendly and the few times I've had to put in a work order they came very quickly if not the same day. This place is awesome! I enjoy living here because it close to everything such as restaurants and shopping centers in Frisco. People here are friendly mainly keep to themselves and do not cause noise disturbance. Thank you for your kind words Shelia. We appreciate you choosing us here at Summers Crossing. Kris- Property Manager. This has been an awesome place to live and wonderful staff and maintenance crew! Going on four years here and still happy! I haven't had a place like this in quite a while. Thank you Brenda for your feedback. We appreciate you as being a four year resident here at Summers Crossing and look forward to serving you for many years to come. Kris- Property Manager. The pros are this is a good neighborhood and the apartment is clean. The cons begin with the lease terms. I needed an apartment fast and did not ask all the questions I should have asked. The lease has a 60 day notice for moving out. This means that since most apartments do not hold an apartment for 60 days, when I get ready to change apartments I will most likely be paying rent on this apartment while I do not occupy it. Also, there is one water heater that services the entire building and takes a very long time for hot water to reach my faucets and even then it is not that hot. The commode is not elongated and 'uncomfortable for boys to use'. Other than that I like it here. Don't love it though. We appreciate your feedback Craig. If you would like to discuss anything about your apartment please let me know. Kris- Property Manager. An exclusively great community to stay peacefully, and become a part of calm neighbours.Everyone likes to stay in Summers Crossing without any issues..Always connect Ted to it. The property is well kept and clean. Any matience repairs are handled quickly. There is plenty of parking and neighbors and staff are friendly. Not a lot of amenities here, but the rent isn’t bad for the area and you’re right in the middle of everything. The apartments are older, but recently remodeled.